Breakfast on this fine Sunday morning has been both easy & decadent in the same breath. How good does this look? While contemplating cooking a hot Sunday breakfast, I came across a container of soaked chia seeds I had forgotten I’d prepped earlier in the week. Bang! Instant gratification. Had I not had the chia prepared, this breakfast wouldn’t’ve happened. Well, nowhere near as ‘instantly’. This is a perfect example of how a little bit of preparation can help you avoid “poor food choices” when you’re in a hurry, or simply just too impatient (“Need food NOW!”). Chia seeds soaked in coconut cream (or milk) make a perfect vegan alternative to yoghurt or cream. And it’s ridiculously simple. The ratio is usually about 1 part chia seeds to 3 or 4 parts liquid, depending upon how ‘solid’ you like your yoghurts/creams. It’s as simple as mixing them together in a container (I always use glass) sealing and refrigerating for perhaps half an hour (or 2-3 days…how hungry are ya?!) Bob’s your Uncle. The calcium, protein, Omegas in chia seeds make this just as good, if not better than the dairy alternatives. 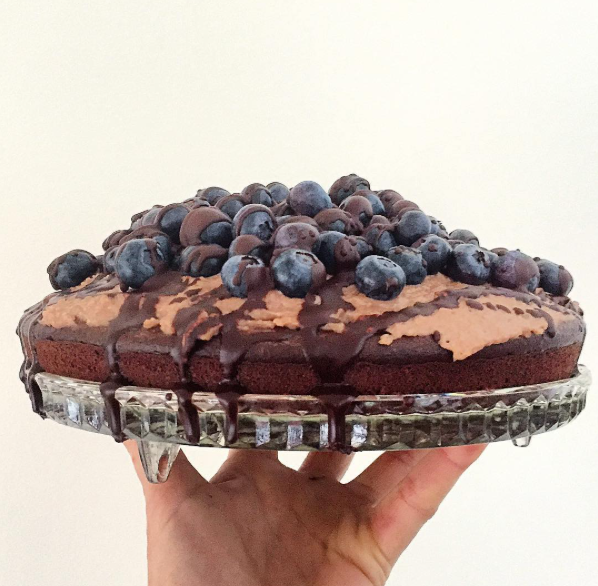 You can also play with this basic concoction in numerous ways, adding spices (vanilla, cinnamon for example) cacao and added natural sweeteners (if you HAVE to!) 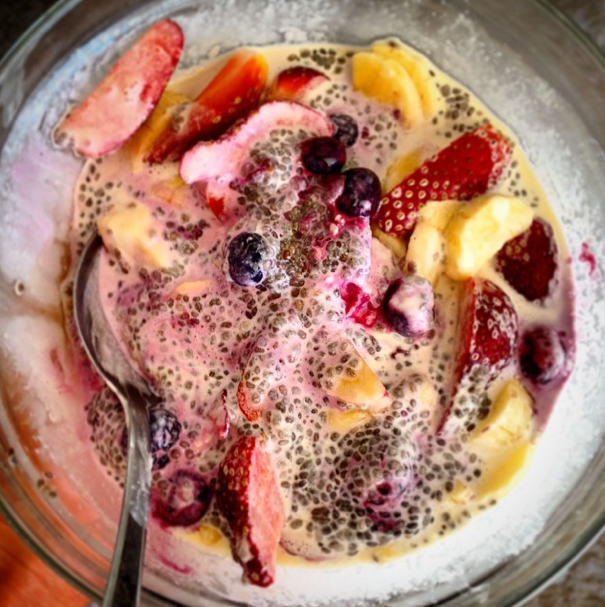 For more ideas Google ‘Chia Pudding’ and you’ll find a whole host of recipes.